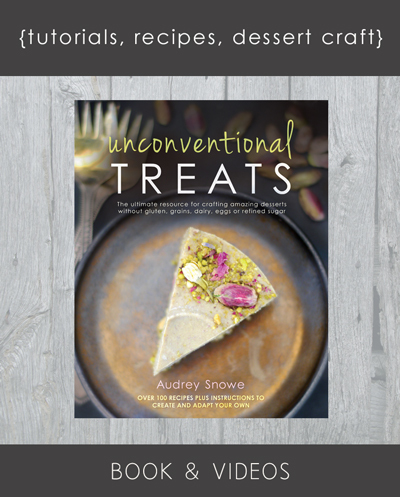 When are you coming out with a print version of your book, Unconventional Treats? I’m currently working with a Canadian publisher for a Canadian release of the book, with international releases to follow. As soon as I have more concrete details about the release date I’ll update this space. Since February of 2013… gosh the time has flown! What kind of Vitamix do you use / recommend? This is the one I have, it’s kind of old. Still works like a charm. There are these really nice newer ones that are shorter, so they fit under you cupboards better, whereas the taller one that I have needs to be stored off the counter or with the jar separated from the base, because otherwise it’s too tall. The only downside with the low profile Vitamix is that it doesn’t blend smaller size batches (like 2 cups) as well as the narrower container. I also use a Magic Bullet for quick, easy small batch blending, or this immersion blender when I want to quickly blend things right in a mixing bowl or pot. I really like the Panasonic Lumix line, the GH4 is the current model, and then I use a micro lens. The Lumix lens that gives a similar effect was a bit out of my price range, so I went with a Nikon lens and an adapter to make it fit the Lumix camera. So the lens I’m using is Nikon 50mm f1.8D AF with a Nikon to Micro 4/3 adapter. A bit of a hack way to do it, but that’s what works. I discovered this combo of lens and adapter by borrowing a friend’s camera for a little while and was really amazed at the results. You can see the other photography props I use on the Blogging Resource page, or on this page where I discuss how to start a food blog complete with video tutorials. 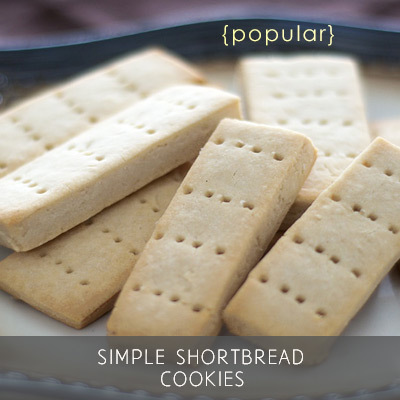 Is it ok if I post your recipe on my blog? No, sorry. 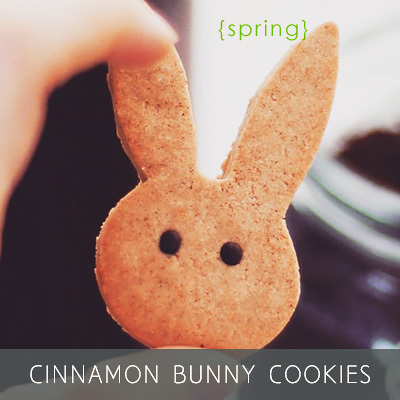 If you’d like you can share a photo and a link back to the recipe on my blog, no permission needed. I’d like to keep all my recipes and writing exclusive to my blog. Please do not use my photos in any other manner without prior consent. If you’re interested in hiring me to create photos of your recipe, please get in touch to discuss. If you’ve made something of mine and you liked it, rather than posting the recipe on your own blog, I would greatly appreciate it if you share your thoughts on your blog and then post a link back to the original content here. If you were inspired by one of my recipes and adapted it significantly into your own creation, please attribute it and link back to the original recipe. What if I find your recipe and / or photos on another website without proper attribution (as per point above)? I’d really appreciate a heads up. Thanks for looking out for me! Just drop me a line and let me know where you’ve seen the recipe and I’ll take if from there. Can you please share nutritional content of each recipe? I prefer to keep the focus of the blog on whole foods and recipes, rather than counting values. If you need those numbers, which I totally understand, I recommend this service where you can fill in the ingredients and get exactly the values you’re looking for. How do you get your cakes and chocolates to look so neat, or make that swirly pattern, or get those really pretty cake sides? 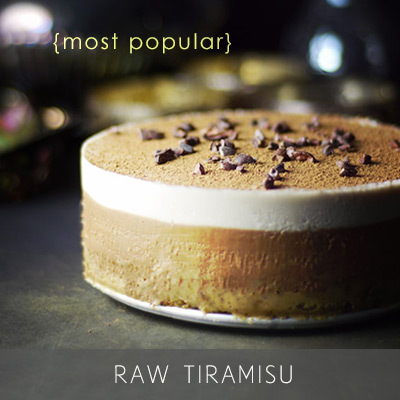 Well partly it’s practice but I go into all the little tips and tricks I know for dessert presentation in the Unconventional Treats video series. Can you share more nut-free, oil-free or (insert your allergen)-free recipes? I have to bake where my inspiration takes me, which sometimes translates into using nuts, gluten-free oats, or the occasional soy recipe. That said I always love hearing what people want or like. If you’d like substitution ideas for any ingredients you’re trying to avoid, please ask in the comments section on the recipe you’re wondering about. And also feel free to let me know anything you’re looking for in terms of new recipes or classic recipe adaptations. Who knows, maybe it will spark off new ideas for me, and I’ll get more inspired to bake things we can both enjoy! Can you include grams vs cups? Not at the moment, sorry. My brain just doesn’t seem to cooperate with weights! I’m more of a “scoop it into a cup and go” kind of person. Most of my recipes do not require gram precision anyways, but this is something I’m keeping in mind for the future if I have more time. For the moment the cheapest fix I can recommend is to purchase some measuring cups, as they are inexpensive and very easy to work with. How long will it take you to respond to my question?